Christmas is one of the most special times of the whole year. A time for friends and family when we gather to give thanks, take stock of the year that's ending and prepare for the year to come. With so much going on, it's small wonder that there are so many traditions from different cultures and faiths surrounding this time of year. And new ones are beginning nearly every year. But an upside-down Christmas tree? You may be surprised to hear that an upside-down Christmas tree is one of the hottest fads of the season. But it's actually not so new! Hanging fir trees upside down goes back to the Middle Ages, when Europeans did it to represent the Trinity. But now, Christmas trees are shaped with the tip pointing to heaven, and some think an upside-down Christmas tree is disrespectful or sacrilegious. The trees were recently introduced to retailers for in-store displays, so more ornaments could be displayed at eye level to the buying public. And they left more floor space to hold extra stock of decorations. But the upside-down Christmas trees have caught on, and are being sold to the public as a novelty piece. 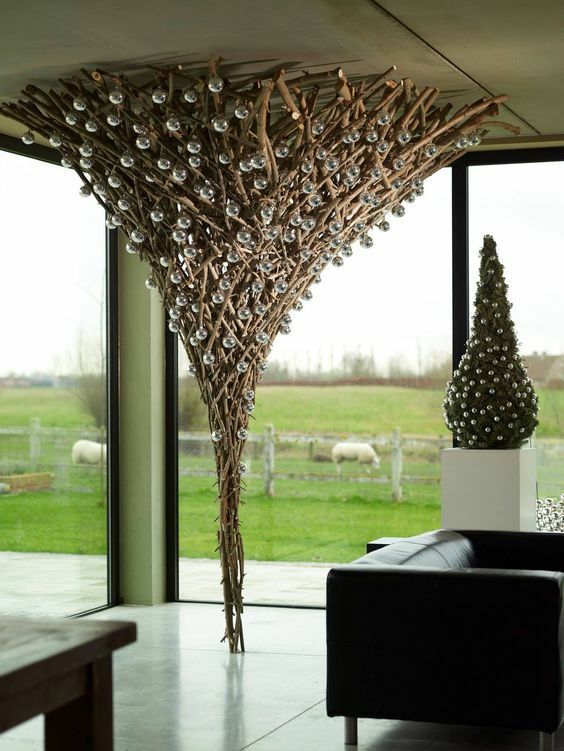 Upside-down Christmas trees are either hung from a bracket on the ceiling like a chandelier, stood upside-down on a stand, or mounted tip-down on the wall. While you may not go for this idea in a big way, you might see a few of the benefits. If you have little children, you can keep most of the ornaments away from little hands. Cats and dogs won't be racing around and knocking decorations off the base of your upside-down Christmas tree. And just think how many more packages you'll be able to pile under the tree!